When you have bad credit, it might not be something you think about every single day of your life. But when the time comes to get some sort of financing or credit, your less-than-perfect credit score can weigh on your mind day and night. This is especially true when you need to buy a car. For most people, having a car is a non-negotiable necessity for getting to work, shuttling kids around, and buying groceries. Whether your current car has permanently broken down or you’re tired of heading to the mechanic every other week, eventually you’re going to need a new car. Ideally, you’ve been setting cash aside in a car fund to help cover the cost, but for many people, that’s simply not realistic. Even if you do save up cash, it’s likely not enough to pay for the entire cost of the car. After all, the average price paid for a new car in 2016 was $34,077 and the cheapest new car on the market started off at $11,990. That’s a lot of money for anyone. In 2015, the average used car price was a whopping $18,600. Needless to say, buying a car new or used is a huge undertaking, especially if you want to avoid person-to-person dealings through sites like Craigslist. So how can people with bad credit buy a car? There are several ways you can attack the problem. Keep reading to find out more. Before you get too nervous about buying a car with a bad credit score, make sure you’re well-informed about your actual credit situation. Maybe you’re nervous because you missed a few cell phone payments, or had a charge-off eight years ago. But without looking at your credit reports and your credit scores (two separate but equally important items), you can’t really know how your car loan application will be viewed. Your first step is to order your free credit reports from the three major credit bureaus: TransUnion, Experian, and Equifax. Check to see what (if any) negative items are listed. Is everything accurate or does something need to be disputed? Is that charge-off from eight years ago still there. (Spoiler alert: it’s probably not.) Go through this process for all three of your credit reports. Next, access your credit score. Most lenders use FICO score, but VantageScore is another one available that was developed by the credit reporting agencies. You can get a free “educational” score from a variety of websites, but these are probably not an accurate reflection of your true FICO credit score. Check with your bank or credit card company to see if you can get free access to your FICO score. If not, you’ll have to shell out about $20 to find out what it is. Still, it’s a good investment because you can learn where you fall on the credit spectrum. You may be close to a higher credit category. For example, if your score is a 640, you’re only 10 points shy of going from “poor credit” to “fair credit.” Knowing your credit score can also help you be a better negotiator if you’re looking for in-house dealer financing. Whether you’re on the verge of a new credit score category or simply want to position yourself on a better path to good credit, start taking the right steps now. There are plenty of things to do both in the short-term and the long-term. If you have flexibility in when exactly you need to buy a car, consider waiting until you have time to give your credit score a boost. Even if you need a car quickly, there are some things you can do that don’t take as long to be reflected in your credit scores. Just know that there is a lag in credit bureaus updating information, so regardless of what you choose to do, you won’t see next-day results. Still, if you plan even just a bit in advance you can ideally improve your chances of an auto loan approval and even get a better interest rate. If your problem stems from a short credit history rather than a bad one, try being added as an authorized user on a relative’s oldest credit card. This will quickly lengthen your credit history because it will be as if you had that card on your report the entire time. Just make sure you don’t incur debt on behalf of your loved one, and that they only have positive credit entries. You can also lower your credit utilization ratio by paying off a chunk of your debt, especially if you owe more than 30% of your credit limits. Over the long-term, prioritize making your bill payments in full and on time each month. It’s the largest component of your credit score and several missed payments could make an auto lender wary of letting you borrow money. Also, commit to paying down your existing debt as aggressively as possible. It may be tempting to head straight to the dealership to find your new (or new to you) car. But before you do, get your financing in order. Why? Even if you negotiate a price you’re happy with, finance and insurance managers are known for using persuasive sales tactics to get you to quickly commit to loan terms and financial product add-ons that may not actually be in your best interest. If possible, avoid this entire situation by getting pre-approved for a loan beforehand at a bank or credit union. This is also a great way to determine your budget. Shop around at different lenders, both locally and online, to find the best deal. When you look for your a lender in advance, you can see what kind of interest rates you qualify for and get an idea of what your monthly payment will be at different price points. This helps you make a well thought out financial decision over time, rather than being rushed or even bullied at a dealership. Additionally, you’ll know how much of a down payment you need to put down as collateral. You can then better prepare for your loan application, especially if you have some time before you need a new car. With a poor credit score, you can already expect to pay more money because of higher interest rates. You might also be limited to how much you’re allowed to borrow. Both of these factors make it important to keep your car loan as low as possible. Obviously, you don’t want to finance a total junker, but there are ways you can strategically approach your auto loan to keep your monthly payments (and overall cost) as low as possible. As we mentioned earlier, a down payment can help you qualify for a loan. Most lenders require at least some sort of down payment to ensure you have “skin in the game” and are likelier to repay your car loan. However, putting even more money down can also defray your monthly car payments by lowering your principal balance. Having a lower principal saves you on interest in the long run. Not only that, your loan will be less likely to exceed the value of the car once you drive it off the lot, so you’ll have more flexibility for reselling it in the future. 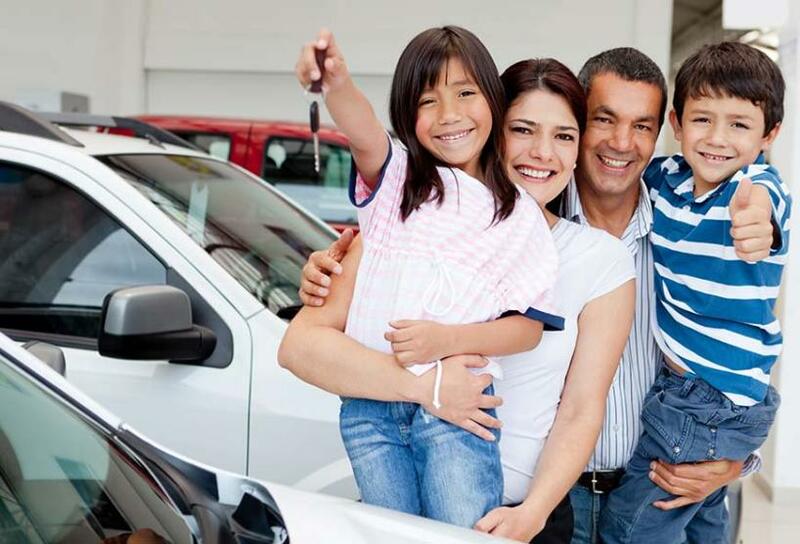 If you need a car soon and only have a certain amount of money to spend on your down payment, consider a less expensive car. That will give you the same effect as making a larger down payment by lowering your loan and related fees. When reviewing your auto loan offer, pay careful attention to the annual percentage rate, especially if you have bad credit. This number is likely to be high when your credit scores are low. Make sure you look specifically for the APR and not just the interest rate. The APR gives you a holistic picture of the total cost of the loan, and incorporates other things like origination fees as a percentage. So even though one lender might offer a lower monthly interest rate, their fees might make it a much more expensive option. Also, consider term length. A longer term might seem ideal so you can spread out your payments and keep your monthly bills low. There is a downside, however. You’ll often end up paying a higher interest rate for the privilege, and because you’ll be paying longer, you’ll end up spending much more than a shorter term loan. Car salespeople and F&I managers are notorious for trying to talk you into spending more than a car’s sticker price. Even if you get the price down, they may end up making more money because of upgrades. Whether it’s a leather interior or some type of extra insurance, be mindful of the value you’re getting for your money. Firmly make up your mind in advance to stick to a budget. And if you come in under budget, don’t use that as an excuse to spend the remainder on an unnecessary add-on. You’re much better off funneling your saved money into extra car payments. When you have bad credit, it’s ideal to pay off your loan balance as quickly as possible to avoid that expensive interest. If you’re nervous about your resolution, bring a trustworthy friend to help you say no. Negotiating at any time can be tricky, but it might be even more so when you’re trying to buy a car with bad credit. This is why it’s often better to get financing outside of the dealership. Otherwise, the dealership staff might use your credit information to try and pressure you into a sale. While there are certainly reputable dealerships out there, many are prone to shaming people with bad credit into terrible loan terms. If you know your credit score, you’re in a better position to defend yourself and negotiate a better deal. If you already have a loan pre-approval, you don’t have to bother with it at all. You can simply negotiate the price with the salesperson and be that much closer to driving your new vehicle home. 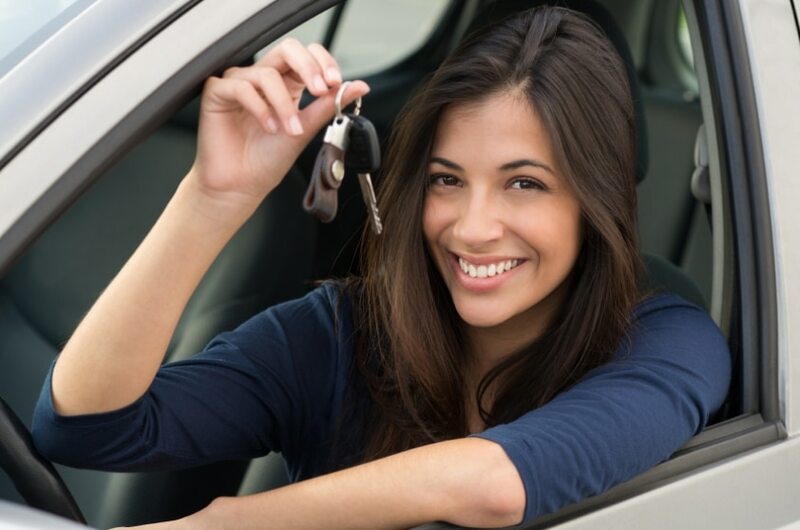 There’s no way around paying a higher interest rate on auto loans when you have bad credit. But that doesn’t mean you have to pay it for the entire life of the loan. Anytime you get extra cash, funnel it towards your car loan, whether it’s overtime pay, a bonus, or a tax refund. As long as you have a comfortable amount of cash savings set aside for emergencies, additional money should be used to pay off your most expensive debt, like your car loan. That’s because any interest you’d earn in a savings account is literally pocket change compared to the large amount of money you’re paying in car loan interest.